Nourish and nurture your skin with Moroccanoil Dry Body Oil, a weightless dry oil that infuses skin with instant moisture and nourishment. 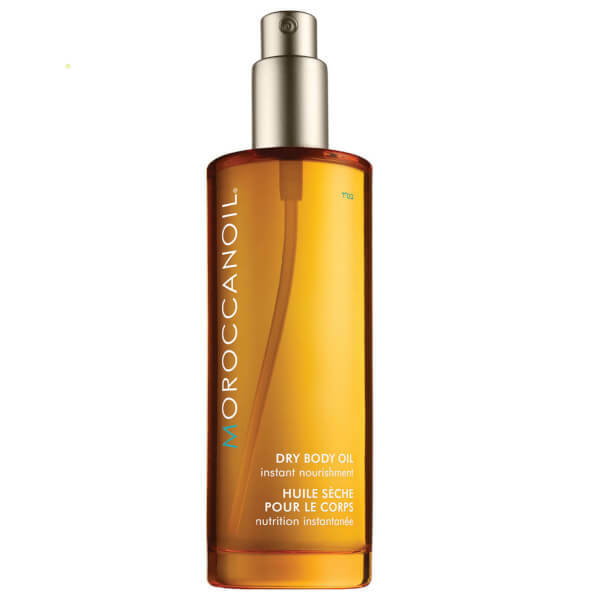 Packed with antioxidant-rich ingredients, including Argan Oil, Olive and Avocado Oils, the dry body oil absorbs quickly to lock in moisture and effectively soothe the feeling of dry areas while improving overall texture and tone. Delicately perfumed with the signature Moroccanoil scent, skin is left feeling soft and silky. Spray a thin layer of Moroccanoil® Dry Body Oil directly onto skin immediately after showering and lightly massage in an upward circular motion. Caprylic/Capric Triglyceride, Cyclopentasiloxane, Coco-Caprylate, Argania Spinosa (Argan) Kernel Oil, Olea Europaea (Olive) Fruit Oil, Persea Gratissima (Avocado) Oil, Parfum/Fragrance, BHT, Alpha-Isomethyl Ionone, Butylphenyl Methylpropional, Eugenol, Linalool, Hydroxyisohexyl 3-Cyclohexene Carboxaldehyde.